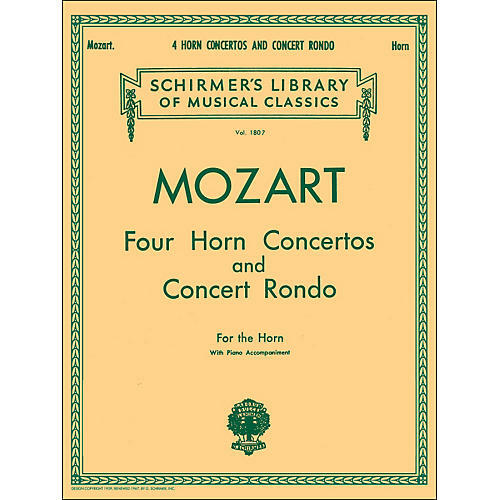 Contents: Concert Rondo in E Flat Major (K. 371) · Concerto No. 1 in D Major (K. 412) · Concerto No. 2 in E Flat Major (K. 417) · Concerto No. 3 in E Flat Major (K. 447) · Concerto No. 4 in E Flat Major (K. 495).